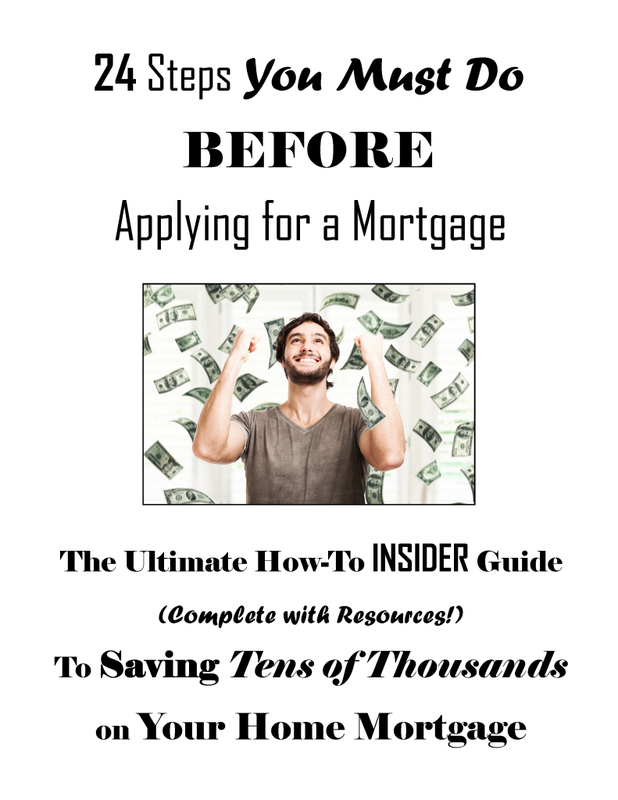 BEFORE you apply for a home loan and shop home mortgage lenders, review the guide below to save thousands! As a Mortgage Broker, it seems strange to be writing a how-to guide on how to shop home mortgage lenders since we want you to work with us! But, we also want you to have the best scenario for you, even if that means not working with us. We are honest if we don’t have access to your best option so you may take that information and use it to shop home mortgage lenders to find your best option. Since we are a Mortgage Broker, we shop home mortgage lenders every day. We see the different factors that influence mortgage rates and pricing. That makes us uniquely positioned to provide you with an insider guide to save tens of thousands on your home loan. That’s why we wrote this ‘How-To Shop Home Mortgage Lenders’ article – it will help you get better mortgage rates. Having a better rate will save you tens of thousands on your home loan. Check Your Credit – Before you reach out and begin to shop home mortgage lenders or speak with anyone regarding possible mortgage rates, the first step is to make sure your credit is accurate. Errors on your credit report can not only slow down the process but it can cost you thousands of dollars from having a lower credit score. Federal law allows you to receive one copy from each of the three primary credit bureaus every 12 months. 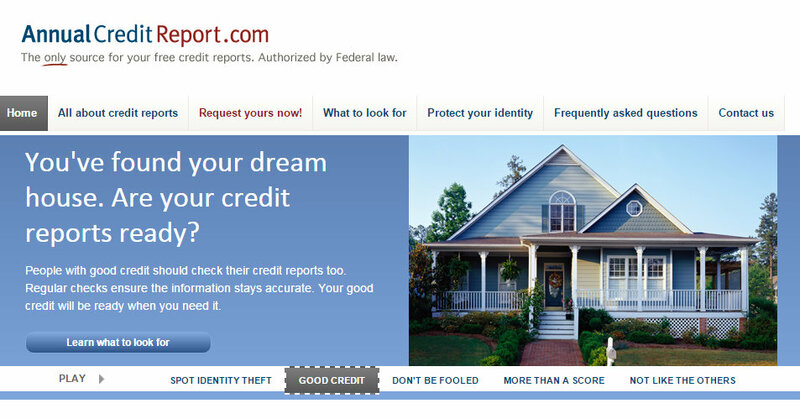 Those reports may be obtained through the official site: AnnualCreditReport.com. If you’re planning on purchasing soon, you’ll want to pull from all three credit bureaus to review for accuracy. If you find any errors, be sure to correct them before you shop home mortgage lenders; and most definitely, before you apply. After you’ve closed, you’ll still want to check your credit once a year to ensure accuracy. If you’re only monitoring your credit for accuracy, you may want to spread them out by checking one different one every three months or you could pull all of them once a year when you review your financial house. Watch Spending – increasing spending is the surest way to increase credit card debt and/or reduce your savings. When credit balance to limit ratios are higher, credit scores are lower. Paying down credit card balances improves credit scores. Better credit scores = better interest rates. Conventional interest rates are highly influenced by varying credit scores. FHA interest rates typically have less fluctuation with varying credit scores. Don’t Open Accounts – Do not open any new credit card accounts until after you’ve closed on your new home loan. Do not inquire into any new accounts if you are going to shop home mortgage lenders in the near future. Similar to increasing your credit card balances; new accounts negatively impact your credit. New accounts have the most negative impact the first two years. So think twice before opening any new accounts if you think it will be less than two years before you shop home mortgage lenders to refinance or purchase a new home. Save Money – Save for a down payment (or a larger one). If you have time before you purchase, increasing your down payment will provide more mortgage options. Although Conventional financing has options for 3% down for borrowers with good credit; rates and mortgage insurance are better with more money down. 5%, 10%, 15%, 20%, 25%, and 30% down all may offer pricing incentives depending on your situation. Having money saved also provides security to lenders, and more months of reserves grant an easier approval. Okay, you’ve completed the above steps and are ready to start shop home mortgage lenders. Rate Range – The Consumer Financial Protection Board created the Home Loan Toolkit, but even more helpful than that, they offer an opportunity to Explore Interest Rates. You can customize it by changing the credit score range, state, house price, down payment, rate type, loan term, and loan type. You can see how interest rates affect your payment over the first five years and over 30 years. The biggest caveat is it does not price out all lenders, so it’s only a gauge and won’t help you shop home mortgage lenders. And your credit score may be different than expected. It does help to see if you should keep searching or if you already have one of the better mortgage rates. Licensed – Is the lender licensed? Regulations require lenders to be licensed, after you have some lenders in mind, make sure your potential lender is licensed before you shop home mortgage lenders – see if the mortgage lenders are licensed here.. Complete an Application – Lenders want to quote accurate rates so some may request that you complete an application before they quote you an interest rate. All lenders’ policies are different, but the requirement to complete an application has no influence on the rate. Be prepared to answer whether you will complete an application in order to receive quoted rates – before you shop home mortgage lenders and definitely before you speak with the lender. When you’re ready to complete an application, prepare by seeing the questions that may be asked by viewing a Blank Application here. Haven’t had any NSF (Insufficient Funds) fees Year-To-Date. Cloud Storage – The quickest, coolest hack to home mortgage shopping is cloud storage. There are many sites that offer cloud storage. Google Drive and Dropbox are a couple of free, common sites. (Receive 500 MB of bonus space by signing up for Dropbox here.) Make sure you check the security standards of the site and password-protect the folder. Then you can share a link to the folder with the licensed lender while you shop home mortgage lenders. It’s more secure than emailing the documents as attachments or faxing the supporting documentation. Plus you won’t have issues with email attachment space! Type of Loan – One mistake buyers often make is to tell the lender they want a certain type of loan without researching their options. Research mortgage options first, talk to an experienced Mortgage Loan Originator, determine the type of program that makes the most sense for you and then begin to shop home mortgage lenders. Below are a few of the common mortgage options to ask about. Related: Low Down Payment Mortgage Comparison. Loan Estimate – When you shop home mortgage lenders, request each lender provide you with a Loan Estimate (that takes the place of the Good Faith Estimate form that was used in the past) – that is the easiest way to compare and shop home mortgage lenders. See a Sample Loan Estimate. Rate Options – Did you know that there is more than one rate option? When you shop home mortgage lenders, ask each lender to provide three. One where you’d buy down the rate by paying discount points (you may be staying there longer than the break-even point), one that they’d normally quote, and one higher, so you receive a lender credit. The higher rate should minimize your closing costs, which may make sense if you’re not planning on being there long-term or you’d like to have more reserves for unexpected expenses. Make sure you ask for the same options from each lender (For example, 1 discount point and 1 lender credit point), so you’re comparing the same options when you shop home mortgage lenders. Negotiate – Some lenders may match or do their best to beat other lender’s Loan Estimates – there are regulations in place that limit negotiations, but providing other lender’s Loan Estimates allows for more flexible negotiations since the lender is able to include that in your file. When you shop home mortgage lenders, show the lender all of your Loan Estimates and ask them to give you their best offer. Still want better? Make them an offer (i.e. “Take $____ off your origination and I’ll feel comfortable proceeding with you” or “Lower my closing costs by ____ and I’ll feel comfortable proceeding with you.”) – They may lower their fees to keep your business. Apples to Apples – When you shop home mortgage lenders, ask the lender to match up the other Loan Estimate’s fees for you – some you may shop, some are set for that lender. Comparing the fees by name, apples to apples is the only way to ensure they’re the same. Don’t just look at the rate or at the bottom line. Ignore the fees that you can shop – you can obtain those with any lender. Prepaid Interest – 15 days prepaid interest is often quoted, make sure you’re quoted the same days when you shop home mortgage lenders. This can affect your bottom-line. Unless you have a specific closing date, give the lender a closing date in the middle of the month that will provide 15 days. You want the numbers to be based off the same days so it’s quicker to compare apples to apples. Escrows – Months of escrow can also affect the appearance of the bottom line. When you shop home mortgage lenders, giving the lender a date will help this number not skew the bottom-line as well. Mortgage APR – The Annual Percentage Rate was designed so borrowers could easily shop home mortgage lenders by looking at two or more different loan options and see the annualized costs associated with a certain interest rate. In theory, borrowers are able to easily see if a lower interest rate is actually costing more. For example, FHA rates are generally lower than Conventional rates. But when you take the required Mortgage Insurance into consideration, the APR is higher. Don’t be fooled by the low advertised rates, check the APR or calculate it yourself using a Mortgage APR calculator. While the Mortgage APR is one tool, it is not a perfect calculation and should not be the only determining factor when you shop home mortgage lenders. Also, it may make sense for an individual to pay more upfront to have a lower rate over the loan period and only each individual is able to determine what is best for them. – For more information on Mortgage APR, see APR.MLSMtg.com. Lock Days – When it comes time to lock, the farther out you are from closing, the higher your rate and/or closing costs will be. The longer out, the higher the price/rate will be. Loans are often locked 30 days in advance, but 45 day and 15 day locks are also common. 45 days will cost a little more in pricing, but offer protection in a changing market. If you’re comfortable with fluctuating rates, 15 days will offer better pricing. This is still a factor when you shop home mortgage lenders before you lock because the lender is quoting rates based on a specific rate lock period. Lender Credit – This is probably the BEST kept, least talked about, secret in the mortgage industry. Did you know most lenders are compensated for charging you a higher interest rate? When you shop home mortgage lenders, if there is no lender credit or credit for interest rate chosen, you’re receiving a marked-up, retail rate. Even if there is a number there, if it’s not an odd number, you’re usually still receiving a retail rate. Mortgage rates are either lowered by paying discount points or there is a lender credit. Is the lender passing the credit onto you (wholesale rate) or are they keeping it? You’ll find out on the “Lender Credit” line on your Loan Estimate. Member? – Do you belong to a bank or credit union? Those lenders will often offer incentives to keep your business. Check them out, because sometimes they offer niche products as referenced here, in those instances, they may offer the best pricing you can find. Be careful, just because you’re a member, doesn’t mean you won’t find better savings elsewhere. Be sure to do due diligence, still shop home mortgage lenders, and compare your Loan Estimates properly. If the names of the fees aren’t matching, ask your Mortgage Loan Originator to match the fees for you. As mentioned in other articles, a Mortgage Broker will shop home mortgage lenders for you. A Mortgage Broker can help you compare your options. TBD – “To Be Determined” – Don’t have a property in mind? Your lender may not have an underwriter review your file until you do. For people with 2 years of steady work history, low debt-to-income ratios, and clean credit, that may not be a determining factor. But for self-employed borrowers, people with higher debt-to-income ratios or people with blemishes on their credit, that may be a huge factor. The worst scenario would be finding your dream home, having an accepted offer only to go through underwriting and have your loan declined due to something that could have been caught ahead of time. When you shop home mortgage lenders, ask your lender if they will complete a TBD underwrite to give you peace of mind, especially if you fall into any of the categories mentioned above. It could make all the difference in the world. Reviews – Many problems are able to be prevented by checking for feedback online. One or two negative reviews could be circumstantial, but if the lender is consistently receiving negative reviews, you may be better off elsewhere. The Better Business Bureau (BBB) also has reviews posted online and will also grade businesses – factoring 13 points into consideration. 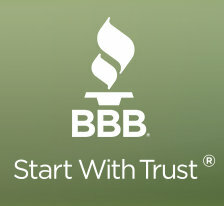 See our BBB Business Review. 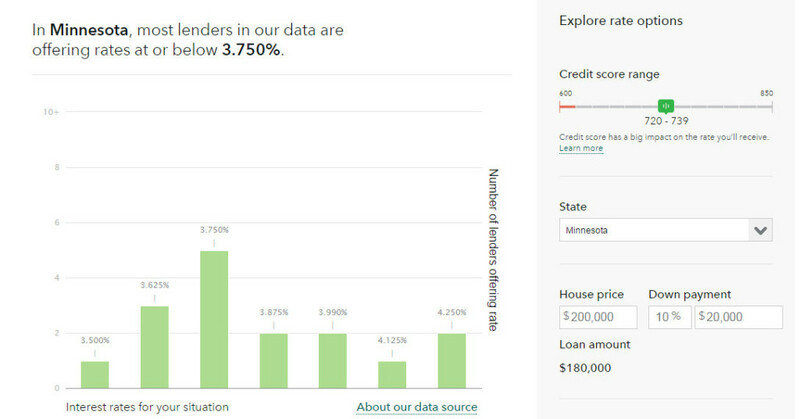 Base Rates – Check MLSMortgage.com for base rates and/or a personalized loan option in Minnesota – we’ll tell you honestly if you already have a better option. LPMI – BONUS TIP! – Lender Paid Mortgage Insurance, known in the industry as LPMI, is when the mortgage insurance is built into the interest rate. LPMI may not a good option if you’re staying there for the term of the loan, but if you’re planning on being there 2-5 years and won’t be removing the mortgage insurance anyway, LPMI may make sense. The monthly payments usually are lower with the LPMI option. If you think you’ll be in the home less than 10 years and are putting down less than 20%, be sure to have the lender price out that option for you to consider. Home Loan Toolkit – Bonus Download! To help shop home mortgage lenders, the Consumer Finance Protection Board (CFPB) has put together a 28 page PDF, detailing the steps of buying a home, including how to get the best mortgage for your situation. 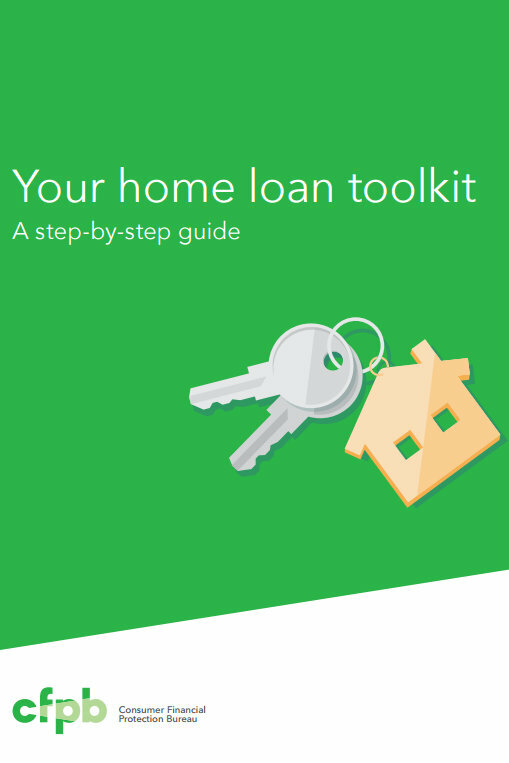 Download the Home Loan Toolkit. Posted in Buying a House, Credit, Mortgage, Mortgage Questions, Mortgage Rates and tagged Annual Credit Report, APR, Average Mortgage Rates, Closing Costs, Credit Report, Down Payment, Free Credit Report, home loan toolkit, Home Loans, MN Mortgage Rates, Mortgage Broker, Mortgage Insurance, Mortgage Interest Rates, Mortgage Questions, Mortgage Rate Trends.